Cake is necessary for a variety of occasions. Weddings, birthday celebrations, graduation parties, or maybe just because you feel like it. If you need one for your special event, the great cake shops of Texas are up to the task. From expertly-designed wedding cakes adorned with flowers to cakes that will bring a smile to the face of your five-year-old on their birthday, here are the 10 best cake shops in the state. Founded as a sort of artist gathering spot in 2001, MOD Coffeehouse has blossomed into one of the most interesting and surprising coffee houses and pastry shops in Galveston. Located in a beautiful historic building, they serve handcrafted beverages, pastries, and cakes every day. 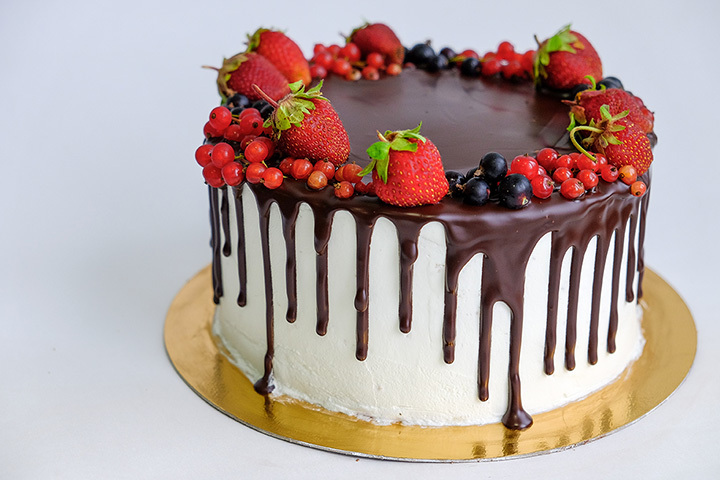 Elegant Cakery in Southlake, Texas offers a variety of custom cakes for all kinds of occasions, including wedding cakes, birthday cakes, and more. According to their website, “we believe in quality cake designs that will make a magnificent centerpiece for your wedding or special occasion.” Email or call to schedule a free consultation and tasting. The Best Little Cake Shop in Texas has won several awards, including the Wedding Wire Couples’ Choice Awards. Their cakes are masterful art pieces with themes as varied as Harley-Davidson, the state of Texas itself, and a toolbox. If you have a vision, they have a way to make it reality. Cristy’s Cake Shop offers wonderful wedding cake options with a proven track record of excellence. They’ve been making cakes for special occasions, including wedding and quinceanera collections, since 1996. If you want a cake in Austin, Texas, then Capital City Bakery must be in the running. Their passion? “Providing Austin with high quality pastries made from scratch,” according to their website. They offer round layer cakes, sheet cakes, cookie cakes, and more. The Texas star Bakery can create just about any kind of cake you’d like. Have a big “Twilight” fan in your life? How about a stack of books in cake form? Have a tropical themed birthday coming up? Tropical cake with a pineapple topper is on the way. Contact them for your next big cake idea. A & K Cake Shop in Houston offers wedding cakes, pies, cookies, and more. They’re a wonderful mom and pop with a wide variety of fabrication and baking skills. Take a look at their online shop to see a full gallery of cakes. Moonlight Cakes are simply marvelous. If you like cakes that reach to the sky with all the floral and personalized accountment, then Moonlight Cakes is the perfect bakery. Order online or schedule a tasting. The Sweet Secrets Cake Shop opened originally in 1987 and continues to provide San Antonio with cakes of all sizes and shapes, including cupcakes. They also have homemade icing. Check out their website for their wedding, quincenera, rural event, and all occasion menus. Irene’s Bakery in Lewisville, Texas creates memorable custom wedding cakes sculpted cakes, and kids’ birthday cakes. Flavors include Italian creak cake, key lime, chocolate ganache, carrot, and much more. The bottom line? You dream it. They bake it.